Canada is one of only ten countries recognised as a dialogue partner with ASEAN, the economic organization representing Indonesia, Malaysia, Philippines, Singapore, Thailand, Brunei, Laos, Myanmar, Cambodia and Vietnam. In 2017, our Asia Pacific Centre (APC) has continued to engage ASEAN delegates, with notable success in deepening our relationships with – and understanding of – this fast-growing, key region of Southeast Asia. 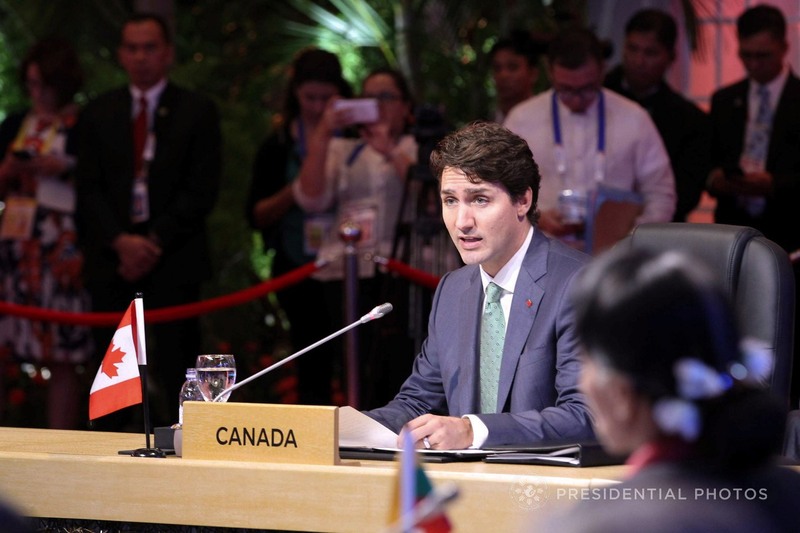 On a federal level, Prime Minister Justin Trudeau has a very positive view of Canada’s relationship with the ASEAN and intends to broaden this relationship in future. 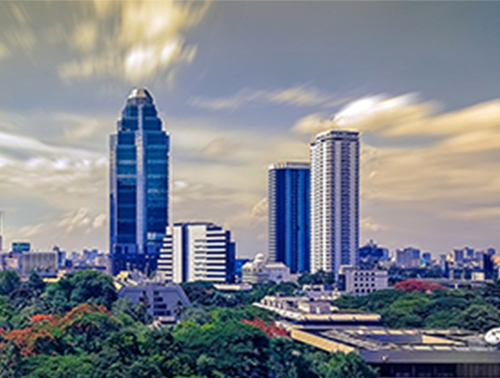 With its large, relatively young population and rising middle class, ASEAN and each of the countries it represents is poised to play an important role in the world economy. Collectively, ASEAN represents one of the fastest growing economies in the Asia Pacific. The chart below demonstrates their growth from 2006 – 2015 when compared with other global economies. This growth is an obvious opportunity for Canadian businesses; leveraging local networks to build better international relationships comprises the thrust of our activities with ASEAN communities in Vancouver. 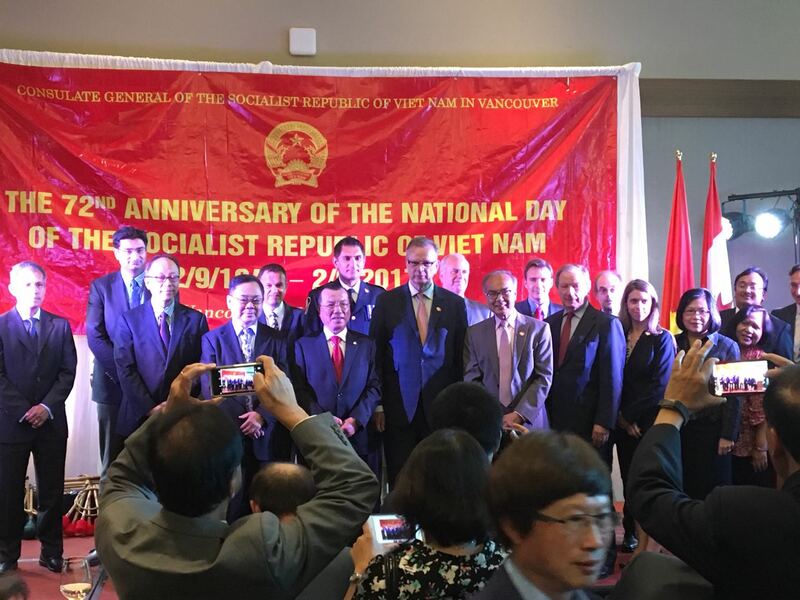 On May 31st, APC attended a meeting between the ASEAN’s Secretary General, His Excellency Le Luong Minh and Vancouver’s then-Deputy Mayor Geoff Meggs. 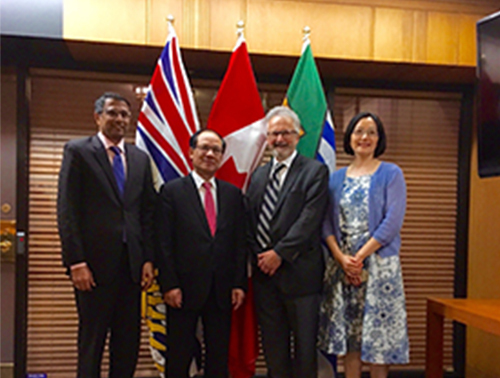 This meeting provided an opportunity for the VEC and APC to engage with ASEAN, to explore possibilities of business cooperation in the ASEAN region, and to showcase Vancouver’s role as a gateway to Asia. In addition to meeting with representatives from the ASEAN governing body itself, APC met with delegates and businesspeople from Indonesia, Vietnam and Thailand, building upon previous years’ work on the Pacific Rim. 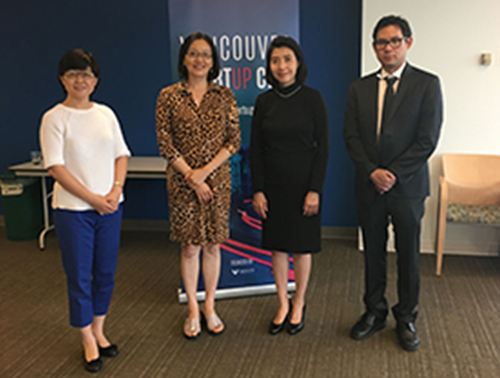 While building international goodwill and relationships to better facilitate market intelligence acquisition is certainly a key part of our activities related to this region, APC provides resources to companies, government officials and entrepreneurs looking to put roots down in Vancouver. The Indonesian economy began 2017 on strong footing, bolstered by “sound domestic fundamentals – robust private consumption growth, a stable rupiah, muted inflation – and a supportive global economy. Aided by continued reforms to improve the business environment, maintain lower financing rates, and fostering better business sense, both robust private consumption and investment growth has been strong on the back of an ongoing recovery in commodity prices. Indonesia’s real GDP growth is projected to increase from 5.0 percent in 2016 to 5.2 percent this year, and further strengthen to 5.3 percent in 2018. 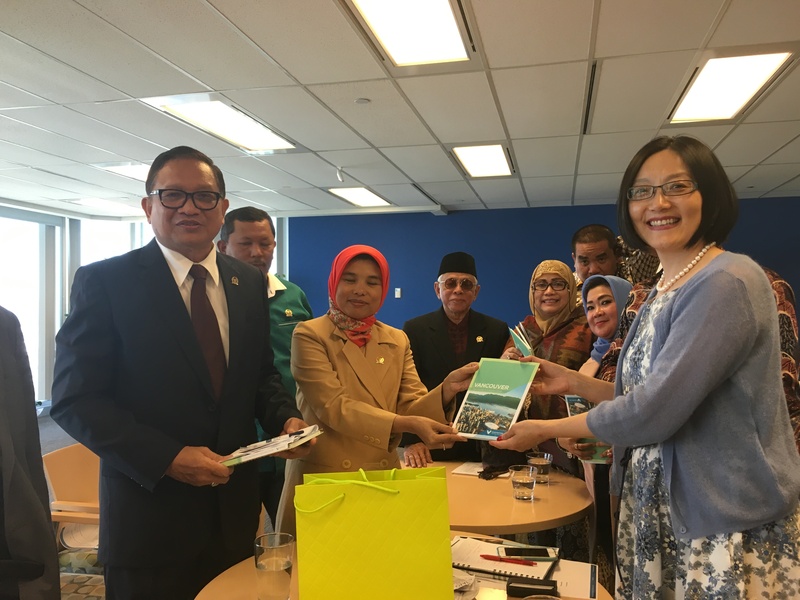 As such, the VEC has been pleased to welcome multiple prominent guests and delegates from Indonesia this year. 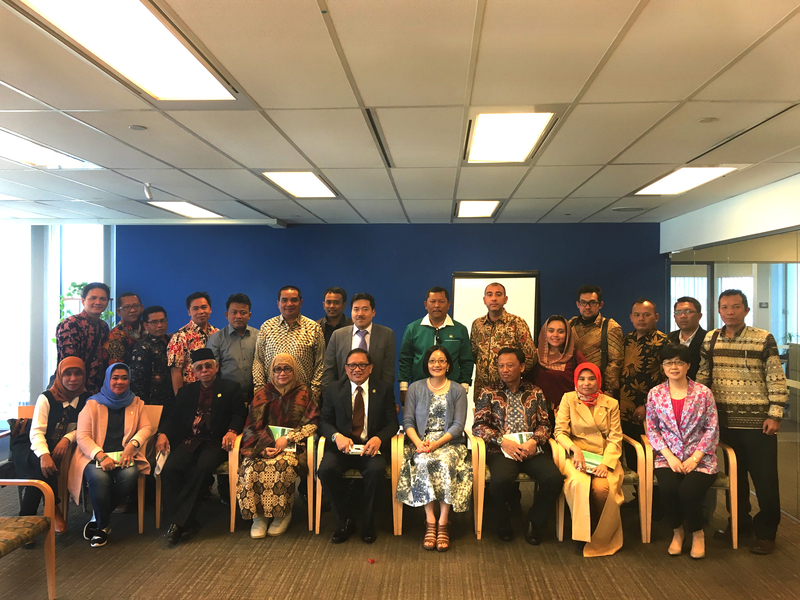 Coordinated by the Consul General of the Republic of Indonesia’s office in Vancouver, the VEC hosted a total of 22 Indonesian Legislative Assembly members and staff on May 23. During the visit, APC provided an overview of Vancouver’s economy and key growth sectors, fielding questions from the engaged Assembly on the topics of the tech sector, trade and business culture. The delegation was headed by Hon. Neng Eem Marhamah Zulfa Hiz, S.Th.I., who was accompanied by Mr. Yudhono Irawan (Consul overseeing Information, Social and Cultural Affairs) and staff member Sri Maulana Bimasakti. 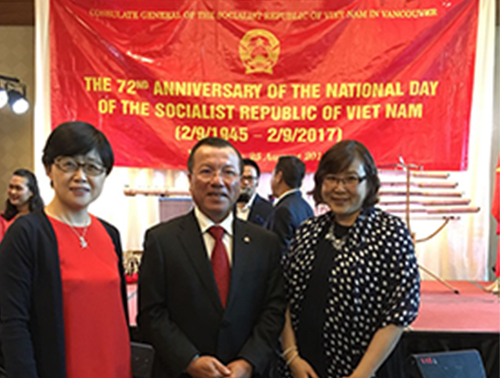 After the visit of Indonesian Member of Legislative Assembly, the Consulate General office of Indonesia invited the VEC to join them in celebration of the 72nd Anniversary of the Independence Day of the Republic of Indonesia. 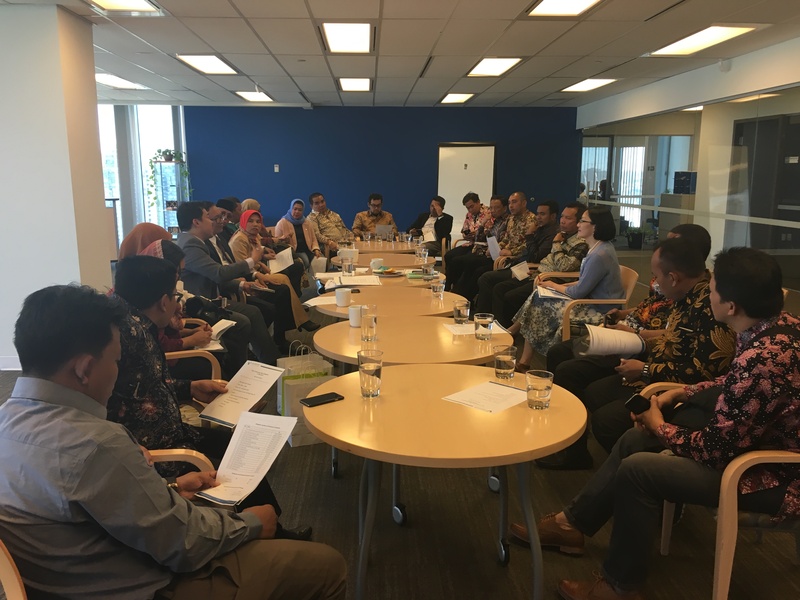 More recently, the VEC was invited by the Consulate General of the Republic of Indonesia in Vancouver to attend a seminar where speakers from top Indonesia ICT sectors – e.g. PT. Telekom Indonesia International (Telin), Indonesia Smartcloud, and PT Administrasi Medika, provided insights into the business environment of Indonesia. 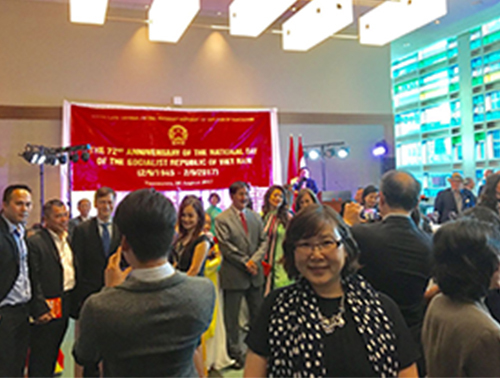 In the last 30 years, Vietnam’s remarkable development record has been characterised by rapid economic growth and social and political reforms that transformed Vietnam from one of the world’s poorest nations to a productive, lower-middle-income country with a populace and workforce that is both significantly healthier and educated. This growth – in high gear since the early 90s – has been such that Vietnam now boasts one of the fastest GDP per capita growth rates in the world, growing at a blistering average of 6.4 per cent in the 2000s. Vietnam is an important market for the VEC; in 2016, its economy expanded more than 6 per cent for a second consecutive year, defying a regional slowdown to remain one of the world’s best performers as retail sales rose by more than 10 per cent. Vietnam’s economy remains resilient, with its fundamental drivers of resilient domestic demand and export-oriented manufacturing solidifying a favourable medium-term outlook. CAS (Control & Automation Solutions) is a Vietnamese company located in the coastal city of Da Nang – the third largest city in Vietnam after Ho Chi Min and Ha Noi in terms of urbanization and economy. The minds behind CAS know Vancouver to be one of the top North American hubs for startups and technology companies and were interested in expanding into Vancouver. During this visit, APC staff members provided information and follow-on assistance to CAS. In the last forty years, Thailand has made remarkable progress in social and economic development, moving from a low-income country to an upper-income country in less than a generation. As such, Thailand has been one of the widely cited development success stories, with sustained strong growth and impressive poverty reduction, particularly in the 1980s. Thailand’s economy grew at an average annual rate of 7.5% in the boom years of 1960 to 1996 and slowed to 3.5% over 2005-2015. Despite a dip to 2.3 % in 2014-2016, Thailand is now on the path to recovery. Growth is projected to reach 3.5% in 2017 and expand further to 3.6% in 2018. Thailand has laid out its long-term economic goals in its 20-Year National Strategy (2017 – 2036) for attaining developed country status through broad reforms. The reforms address economic stability, human capital, equal economic opportunities, environmental sustainability, competitiveness, and effective government bureaucracies. 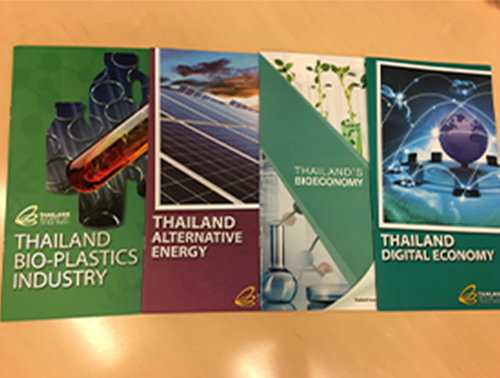 The VEC had the pleasure of hosting The Board of Investment of Thailand (BOIT), who visited to explore business opportunities between Vancouver and Thailand, particularly in the areas of the “bio economy”, “digital economy”, tech, alternative energy generation and bio-plastics industries. During this meeting, APC identified overlaps with Vancouver’s green economy (and especially its cleantech sector, which includes hydrogen fuel cell products and nuclear fusion research), tech sector, life sciences, and digital entertainment & interactive industries. Come back often to find out our latest updates!